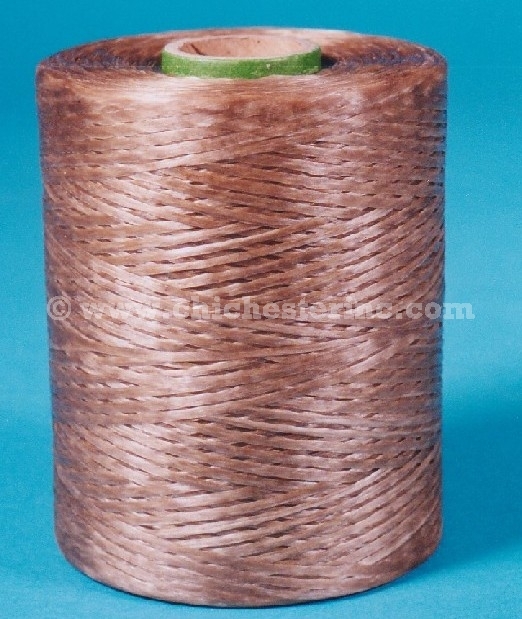 This imitation sinew is flat and waxed 100% polypropylene with a 50-pound to 70-pound test strength. It is about 1/8" wide and can easily be split like real sinew into four pieces. It is ideal for craft projects such as stitching hides, jewelry, crafts, basket weaving, dream catchers, and more. The 1 ounce rolls weigh approximately 1.3 oz and the 16 ounce rolls weigh approximately 1 pound.